You’ve spent a lifetime dreaming of your wedding. Every detail. Your gown. Your first dance. You want it to be timeless and flawlessly executed. We have spent years perfecting our craft. Always with one goal in mind: To create memories you will hold dear. Forever. 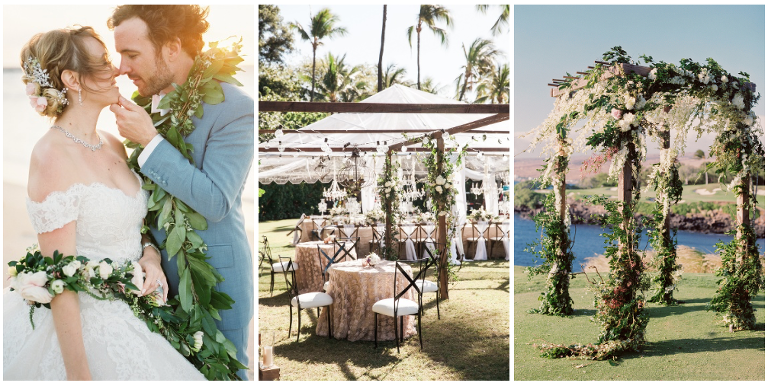 Vintage & Lace is a highly experienced event planning and design company based in Kona on the Big Island of Hawaii serving all the Hawaiian Islands. We are known for our unique aesthetic and extraordinary designs that are charmingly timeless yet refreshingly modern. At Vintage & Lace, we believe every celebration has a story to tell and we deeply value creating once-in-a-lifetime experiences and one-of-a-kind events. From the most exclusive resorts and estates to the shores of our serene local beaches, we plan, coordinate and design weddings and events, both big and small. With over 15 years of experience in Wedding Planning, Coordination and Design, our team is immensely versed with the inner workings and precise planning details involved behind the scenes in executing a flawless event. We strive to provide our clients with the highest quality service accepting just a limited number of events per year as we take the success of each celebration very personally. We also maintain a very close relationship with only the best team of vendors on the islands with a reputation for being outstanding in their industry. We are humbled to have received many accolades for our wedding planning, coordination and design services including featured publications in The Knot Magazine, Style Me Pretty, Pacific Weddings Magazine, Grace Ormonde Wedding Style Magazine, Martha Stewart Weddings, Alaska Airlines Magazine, Borrowed & Blue, Utterly Engaged, and many more! Please browse our Portfolio to see our latest work and client testimonials. 1. an exceptionally fine, timeless element expressing eternal or everlasting quality. 1. an ornamental, delicate adornment used to interlace or draw things together into a close, intimate union. A wedding should have a timeless yet modern quality that remains beautiful for generations to come - vintage. It should also reflect the delicate bond that is created between two people when they choose to wed - lace. As one of life's most anticipated milestones, you should feel beautiful, hopeful, and centered on your wedding day. Our goal - the reason we plan, que, fluff, and prep - is to create one-of-a-kind moments and lasting memories a couple will build their marriage upon. So, when life brings its natural challenges, our clients can reflect back on their wedding day - the start of their marriage - and remember what a magical day it was. Vintage & Lace has been recognized as innovators and creative trendsetters best known for our stunning and unexpected decor and exquisite attention to every last detail. 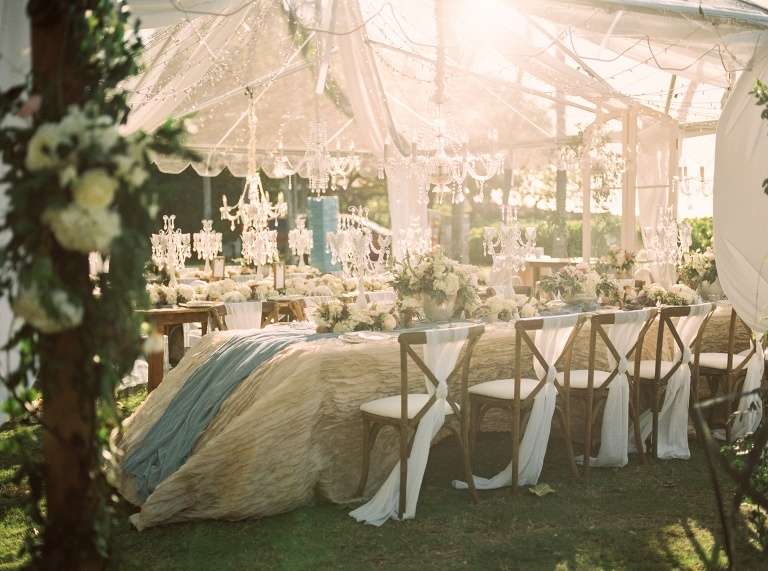 Every Vintage & Lace event is stylish, flawlessly executed, personal, and unforgettable. Our wedding style takes the best inspirations of the past and adds a modern twist to create a timeless vision that has depth and personality. We enmesh romantic, refined elements with daring, eclectic pieces to create a unique style and a fresh wedding design that will stand out and never feel cliché or generic. We pride ourselves on being artisans who treat your event as a living, beautiful, and fleeting piece of art –just like life. Much of our style inspiration comes from our extensive travels and our love of art, architecture, and interior design. Whether it was visiting cafes in Paris, RV-ing across New Zealand, backpacking in Australia, furniture shopping in Bali, or browsing textile markets in Africa, we have always absorbed all the beauty and culture around us and been immensely inspired by the people, prints, patterns, and living art we experience on the road. As an artist, traveler, and entrepreneur, my story led me here. I am living my dream, focusing on what I do best - creating beauty in the form of experience. I have a lifetime history with art and design. I also have a deep desire to create beauty and promote happiness in this world gathered from my many travels; each time I return more inspired and with more creative designs. In between my travels, I earned my Masters Degree in International Studies and wrote my thesis on Social Entrepreneurship with the goal of helping others use business as a means for social good. Now, and for the last 8 years, I have combined my talents to build my own social business and use my event experience to empower couples embarking on the journey of marriage. Through the now hundreds of weddings I have designed, planned and coordinated on these beautiful islands, I have heard so many wonderful, and some very tragic, stories of love. With this experience and my own personal experience, I know life can be pure joy and life can be very hard. Ultimately, I do what I do because I find infinite intrinsic value in using my talents to create moments of celebration for families to always look back on and cherish. I was the little girl who was always dreaming about her future wedding. Even trips with my Dad to hardware stores ended up in the paint section choosing swatches for my wedding colors so I am not surprised my career interests led here. With an organized, Type-A personality and a love of helping others, I grew up and naturally became the one many friends-turned-brides relied on to help with all the details. I learned from these experiences just how much I love event planning and it led me pursue a Wedding and Event Planner Certification at the QC School of Wedding and Event Planning. I also met my husband when I moved to Kona, Hawaii from Vancouver, Canada to volunteer as a youth leader and musician with the University of the NationS. I finally was able to plan my own dream wedding, which only further ignited my love for the whole process. Planning, coordinating and designing many weddings in Hawaii with Vintage & Lace has been a dream come true. My strengths are communication and organization and together, Rachael and I make a great team. My two life-long passions for service and weddings have now found a perfect outlet and I look forward to helping you! The unique combination of my personal and professional skills makes me strongly suited to the demands of wedding planning and coordinating - especially regarding the finite details and special needs of your wedding day. I have 13 years of experience in event and wedding planning accumulated through a variety of customer service, hospitality, and professional positions. I have managed and coordinated countless events and dealt directly with caterers and restaurants. I have a Masters in Business Administration (MBA) and a Bachelors Degree in Marketing. Additionally, as the only sister to six brothers, I have learned how to be a tough negotiator, strong communicator, and great manager. I thrive on approaching any wedding situation with a balance of friendliness and authority to ensure that everything goes off smoothly and that you are happy. Congratulations and may your heart be filled with love! 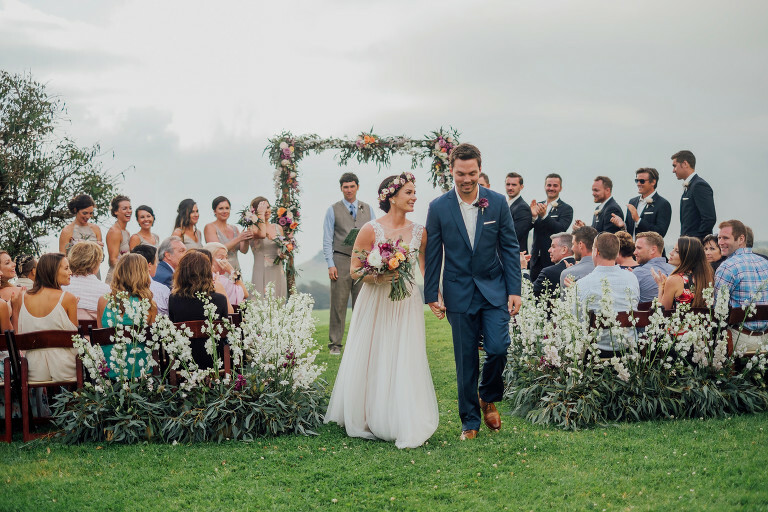 © 2019 Vintage & Lace: Kona Hawaii Wedding Coordinator and Big Island Event Planner|ProPhoto Custom Blog|Design by Northfolk & Co.